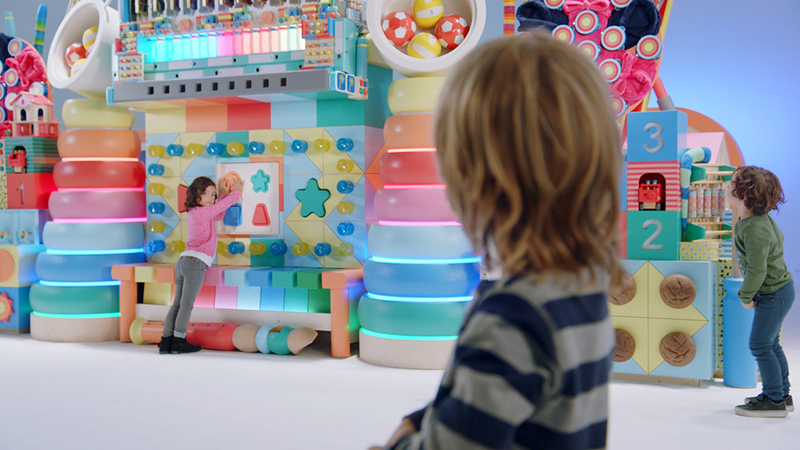 Today, HEMA launched a new holiday season campaign, around Sinterklaas. Central to the campaign is the ‘Sintersizer’ a huge music machine with which you can create your own songs. Sinterklaas is the largest Dutch national holiday and is much like Christmas. With the Sintersizer, HEMA invites children countrywide to take part in HEMA’s Sintersongwriter competition by writing and composing their own Sinterklaas songs. The campaign, created by creative agency XXS Amsterdam, goes live today and runs until Sinterklaas on December 5th. 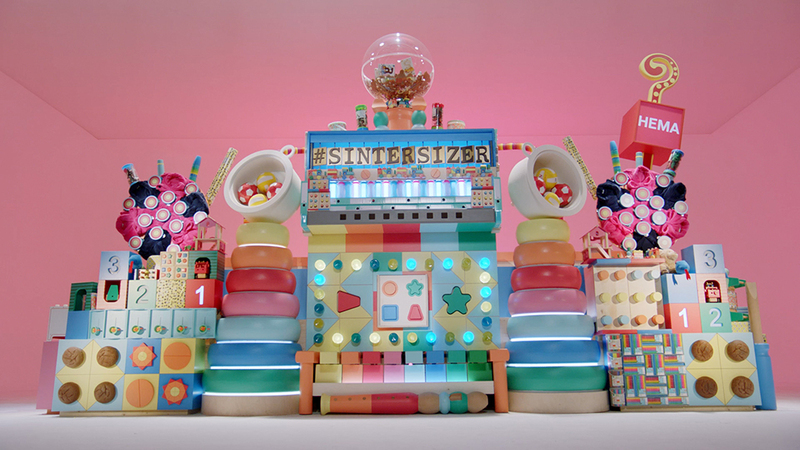 The Sintersizer is a music machine that is six meters high by four meters wide and is built completely out of toys. The Sintersizer can be found and played at HEMA’s flagship store on the Nieuwendijk in Amsterdam. A mobile app is available for those who prefer to play the Sintersizer from the comfort of their own homes. 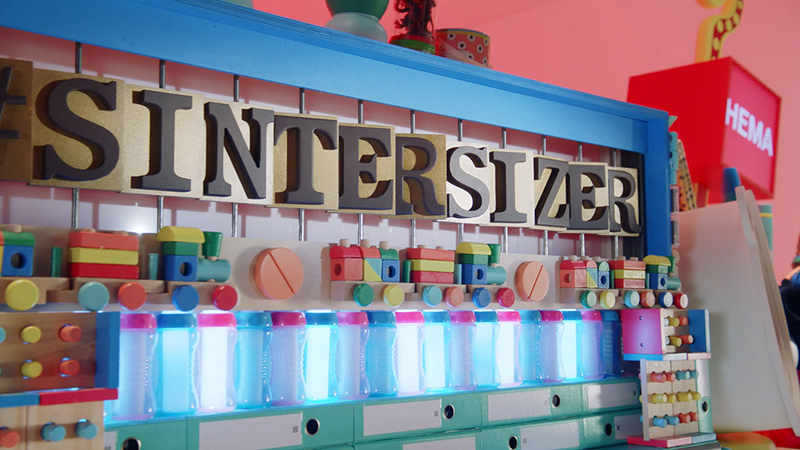 From musical teacups to wooden flutes the size of a door, almost everything on the Sintersizer makes a tune. Large coockie-buttons set off different samples, wooden puzzles can be moved to add beats and a giant toy piano doubles as a sequencer. An online film children playing around as they discover the different features. By doing so, creating their own song. In the app, users can add lyrics to their songs, and a video clip is generated to complete the entry to the competition. 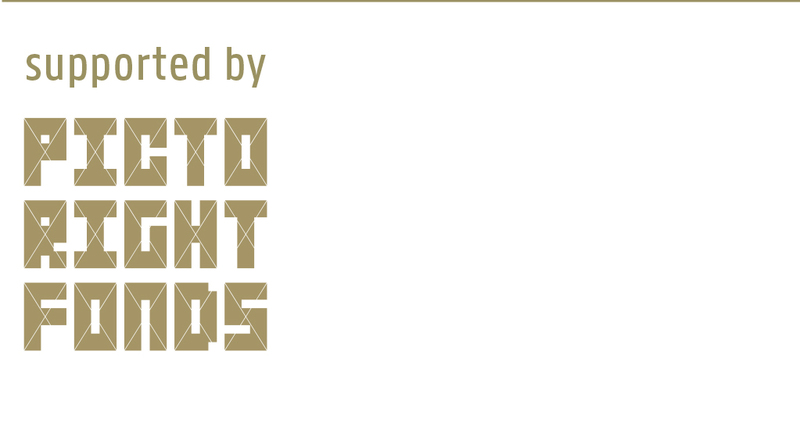 The five best Sintersongs will be selected and the children that made them will be invited to a special event where they will perform their songs to friends and family, together with popular Dutch influencer Nanne and famous Dutch Singersongwriter Tim Douwsma, who made a Sintersong of his own to kick off the campaign.